LOS ANGELES, Dec. 2, 2013 — The Elizabeth Taylor AIDS Foundation (ETAF) is pleased to announce a number of initiatives that build on Elizabeth Taylor’s legacy and passionate commitment to raise awareness and find a cure for HIV/AIDS. In Malawi, ETAF has partnered with Madonna’s charitable organization Raising Malawi to bring the HIV/AIDS prevention and testing program Grassroot Soccer (GRS) into the communities where Raising Malawi recently built ten schools. The program will also include Raising Malawi’s partners in the Mulanje region, one of the highest HIV infection areas in the country. 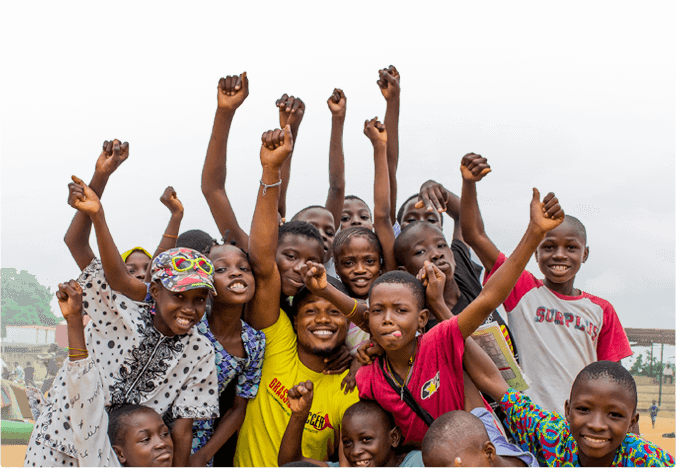 Grassroot Soccer (GRS) is an impactful program that uses the power of soccer in Africa to teach HIV/AIDS preventions as well as provide testing to young people. ETAF, in partnership with Global AIDS Interfaith Alliance (GAIA), currently funds mobile medical clinics in Malawi and is pleased to announce the addition of two more for a total of five in the Mulanje region. In total, the ETAF will award more than $1 million in grants in 2013 to organizations that focus on education, prevention and harm reduction as well as direct services including food & nutrition, housing, direct care and hospice for people living with HIV/AIDS. These announcements fall on the heels of the recent hiring of ETAF’s first Managing Director, Joel Goldman. Goldman will work closely with The Elizabeth Taylor Trust and ETAF’s Grants Director, Bill Misenhimer, to continue Elizabeth Taylor’s commitment to help those affected by HIV/AIDS. Misenhimer worked directly with Elizabeth Taylor from the time of ETAF’s inception, overseeing grants to 600 organizations in 31 countries and 40 U.S. states. As part of Elizabeth Taylor’s passionate commitment and fearless leadership in the fight against HIV/AIDS, she directed that 25% of all royalties from her name and likeness go to The Elizabeth Taylor AIDS Foundation – including from White Diamonds, the most successful celebrity fragrance of all time. Because a portion of Elizabeth Taylor’s name and likeness royalties fund ETAF’s operating costs, 100% of donations to The Elizabeth Taylor AIDS Foundation go directly to helping people affected by HIV/AIDS. To learn more or to make a donation please visit www.etaf.org. About Elizabeth Taylor One of the world’s most celebrated stars, Elizabeth Taylor’s film career spanned more than six decades. From her early years as a child star with MGM, she became one of the world’s great screen actresses. Among her multiple Academy Awards is the Jean Hersholt Humanitarian Award for her outstanding commitment to the AIDS cause. Ms. Taylor effortlessly kept the public fascinated beyond her screen presence—by her incandescent beauty, her courage, her humor, her business acumen, and her humanitarian spirit. Even before her close friend Rock Hudson died in 1985 following his battle with HIV/AIDS, the legendary actress, businesswoman, and fearless activist had started her work to raise awareness and find a cure for the disease. Ms. Taylor devoted her time consistently and generously. Her passion and commitment to the cause helped raise hundreds of millions of dollars. She was one of the first celebrities to do so at a time when few would even acknowledge the disease. Taylor co-founded the American Foundation for AIDS Research (amfAR) in 1985 and founded The Elizabeth Taylor AIDS Foundation (ETAF) in 1991. She received multiple accolades honoring her important work, including the Legion d’honneur from France and the Presidential Citizens Medal from President Clinton. Ms. Taylor was also named a Dame Commander of the Order of the British Empire by Queen Elizabeth II. In March 2011 at the age of 79, the world mourned the loss of Elizabeth Taylor, but her legacy continues through the efforts of The Elizabeth Taylor AIDS Foundation, her family, and The Elizabeth Taylor Trust. To learn more about Elizabeth Taylor, please visit www.ElizabethTaylor.com. About The Elizabeth Taylor AIDS Foundation The Elizabeth Taylor AIDS Foundation (ETAF) was established by Elizabeth Taylor in 1991 to raise funds and awareness to fight the spread of HIV/AIDS, and to provide assistance for those living with the virus. The Elizabeth Taylor AIDS Foundation (1) supports organizations delivering direct care and services to people living with HIV/AIDS, and (2) supports organizations that provide education to the public regarding the AIDS virus and the prevention of AIDS. ETAF provides financial support for organizations and entities both within the United States and internationally. ETAF supports existing organizations and entities that have exhibited integrity in managing their operations along with the knowledge and ability to expediently provide services or achieve other designated goals. For more information, please visit www.etaf.org.